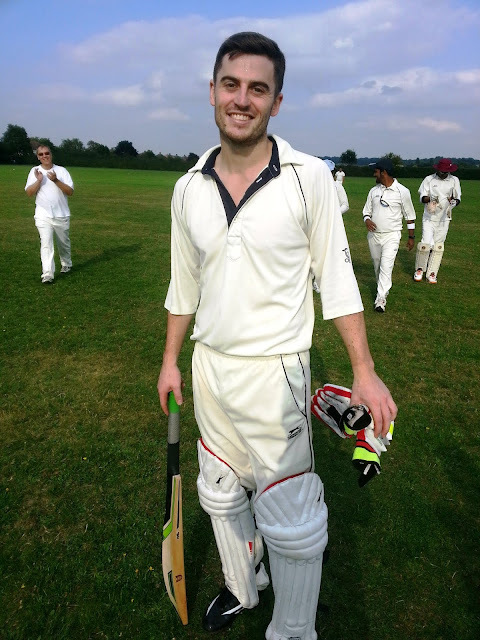 Crack batsman who hasn't played for Dodgers for a season but deserves to be here because he holds the record for the highest ever individual Dodgers score: 189 not out in a spectacular match against the Bengal Troopers back in 2014 - which we still managed to lose. Here is Dan on his way back to the pavilion after that feat of arms. Don't be a stranger, Dan!